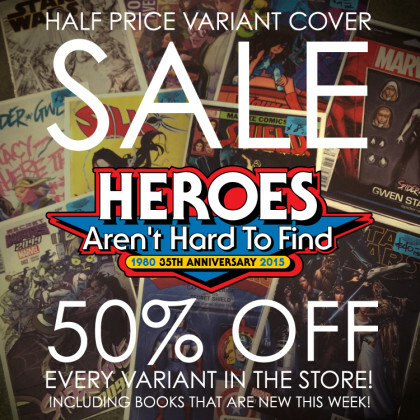 THE HEROESONLINE BLOG | HALF OFF VARIANT COVERS STARTS TODAY! HALF OFF VARIANT COVERS STARTS TODAY! Get in here at 10 AM today for New Comic Book Day AND a 50% OFF SALE on ALL VARIANT COVERS! Every variant in the store including books that are new this week! 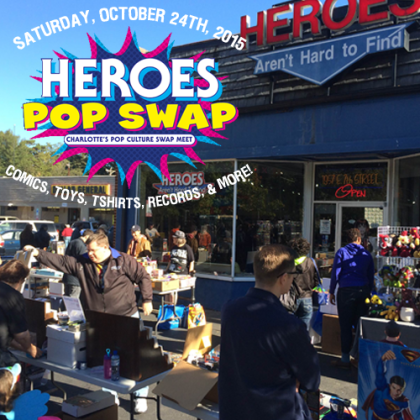 AND…we’ll see you Saturday for Heroes Pop Swap: Charlotte’s Pop Culture Swap Meet! ← Paper Girls #1 Spider Gwen #1 I Hate Fairyland #1 Release Party :: THIS SATURDAY!